Why Do So Many People Choose to Hire a VW Campervan? More people than ever now opt to hire a campervan rather than stay in hotels or tents. The reasons are manifold and each family, couple or individual will have their own reasons for opting for the camper van or motorhome lifestyle. One of the draws for many campers is the sheer time saved when they hire a camper van, giving them more actual quality holiday time. For example, while some die-hard campers take pleasure in the erection of a tent many more see it as a tedious chore that needs to be done before the real holiday starts (often in rainy and windy conditions). Contrast that scenario with rolling up to a campsite in a fully-equipped motorhome and waiting for the weather to clear in front of a DVD or TV show. With less scope for squabbling and boredom, it’s no wonder that family bonding is another key reason behind the decision many take to hire a vw camper van. Perhaps one of the most compelling reasons to hire a camper van is the sheer freedom it brings. No more queuing at airports, no more hotel check-ins, no more regimental itineraries. With a camper you can decide where to go, how long to spend there and what to do whether you’re a dyed in the wool explorer type or someone who likes to enjoy their home comforts but with a beautiful and ever-changing landscape as a backdrop. When you hire a camper van or motorhome, the world opens up before you and the choice of where to go is one of the most exciting parts of booking a camping trip. If you are looking for a quick weekend city break, how about visiting Paris, the romantic capital of Europe; Rome, ancient city of culture or, closer to home, the historic and vibrant heart of the UK in London? If the UK coast or country is your cup of tea, you can travel further and see more than ever before when you hire a vw campervan as you wind your way through Scotland, Wales and England, perhaps popping over to Ireland. If you have your sights set further afield, continental Europe is just a short ferry trip away with thousands of campsites to choose from whether your heart is set on the sun-soaked Spanish coast, the lush vineyards of France, the enchanting forests of Eastern Europe or the magnificent fjords and glaciers of Scandinavia. For the truly nomadic, a self-drive across the American continent or through the Australian outback are all possible when you hire a camper van. Have you Ever Thought About…? A camper van offers more than just a fun weekend break or a couple of weeks of relaxation. Some people opt to hire a caravan to indulge their hobbies – whether that’s touring the festival circuit, following a favourite sports team or seeking out the best fishing spots – and even to ferry the bride and groom to and from the church (before heading straight onto the honeymoon of course). Whatever inspires you, if it involves travel then it is almost certainly something that a camper van could add value to. Should you Buy or Hire a Campervan? The question often arises: if camper vans are so fantastic, is it better to buy one? 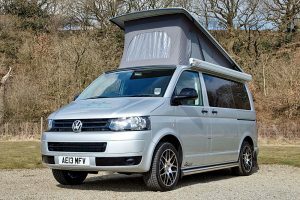 The answer depends on individual circumstances but, as a rule, it usually makes more sense to hire a camper van when you need one rather than purchase one. Not only are campervans notoriously expensive to buy, they also depreciate quickly and require regular maintenance not to mention somewhere to store it securely. You are also stuck with one type of campervan even when your circumstances change. In contrast, you can hire exactly the right size of camper van for your current trip. 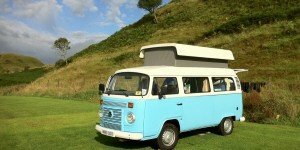 With campervanhire.com you will also know that your vehicle has been recently serviced and meticulously checked. Prices will vary depending on the vehicle you choose and the season you travel in but with no booking fees and a guaranteed price match service, you can be sure you are getting a fair deal.